Opal is a gemstone that many people love and adore with a passion. The name Opal evolved from the Roman word opalus which was derived from the Greek word opallios meaning "to see a change of color." 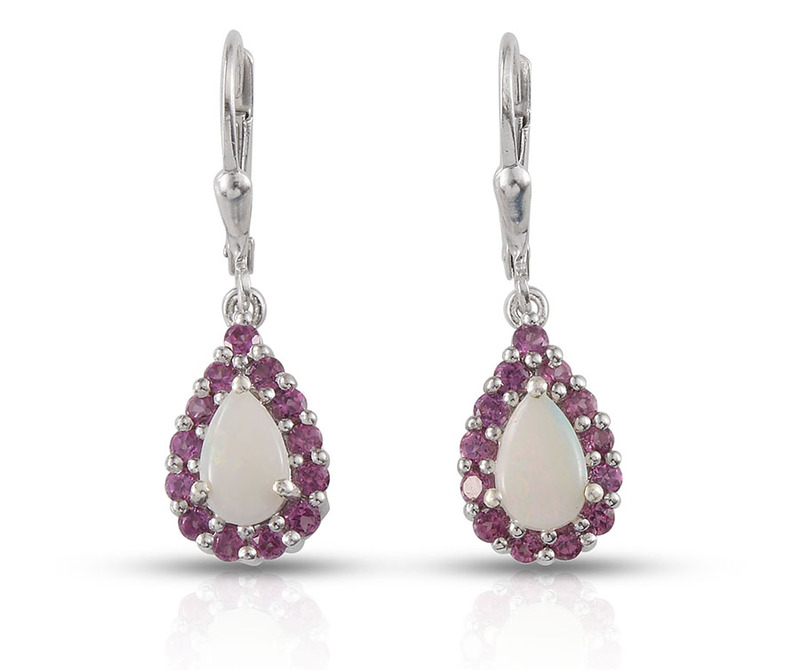 The Greek word was a modification of the ancient Indian Sanskrit name for opal upala which meant "precious stone." Australian white opal cradles a rainbow of flickering color spheres. Reflections of colors dance about with every angle and change of light. The perfect cut for the opal is cabochon this takes advantage of revealing the color from every viewing angle. Opals are in a class of their own. On the folklore front these gemstones swings both ways from lucky to unlucky. 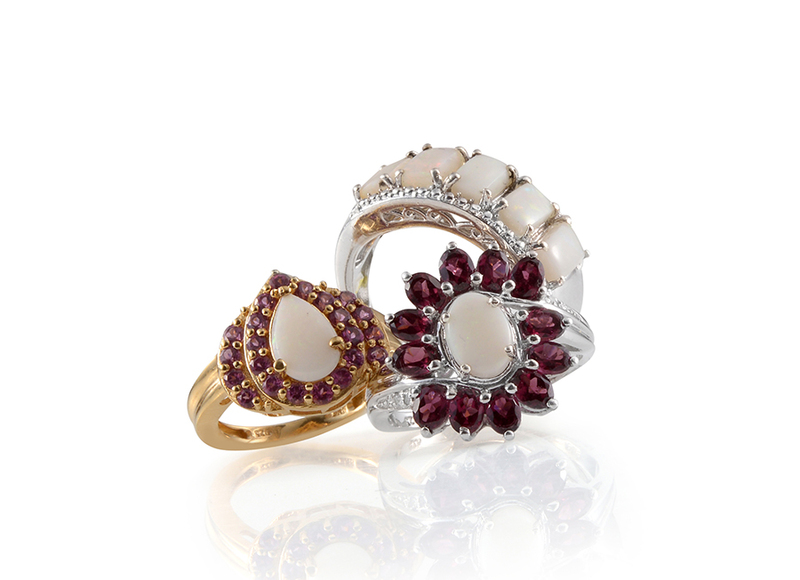 Special care of these gemstones needs to be part of your regime. Leave time to care for these beauties and they will be with you for long time ignore them and they will wither away. The opalescence of an opal stems from the range of 3% to 21% water content. 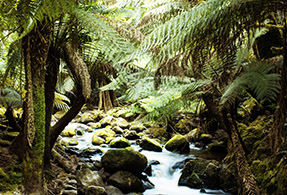 Mythology: Numerous legends and tales surround this colorful gemstone which can be traced back in its origins to a time long before our memory to the ancient dream time of the Australian aborigines. It is reported in their legends that the creator came down to Earth on a rainbow in order to bring the message of peace to all the humans. At the very spot where his foot touched the ground the stones became alive and started sparkling in all the colors of the rainbow. That was the birth of the Opal. • Opal is porous and because of this it is quite absorbent. Due to its ability to absorb it is thought that it can pick up the thoughts and feelings of people and amplify emotions. • The Romans also cherished Opals considering them to be a symbol of hope and purity - an appropriate attribute for a gem with a rainbow locked within it! Shop LC sources its White Opal from Australia. The first Opal prospectors started in 1890. Australia produces nearly 95% of the world's opal and only 2% of Australian production is Boulder Opal. 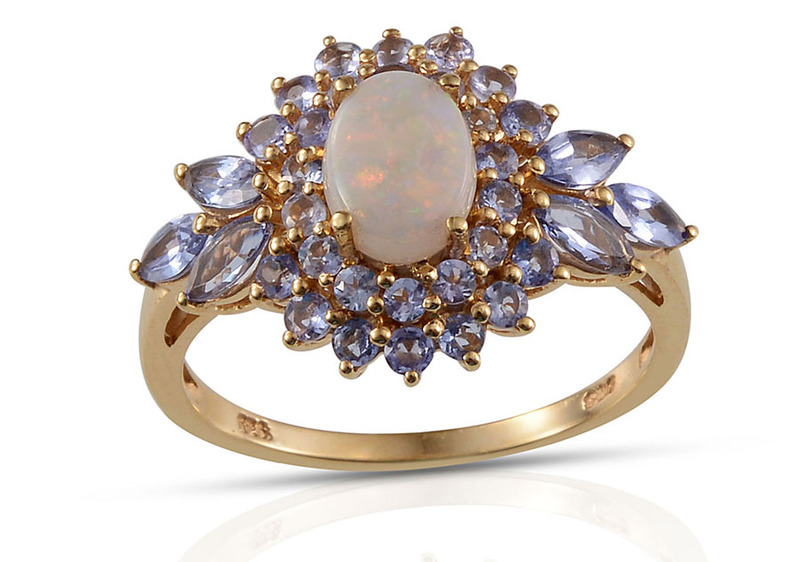 Opal is a birthstone for those who are born in October. Australian Boulder Opal's hardness is 5.5 to 6 on the Mohs scale. 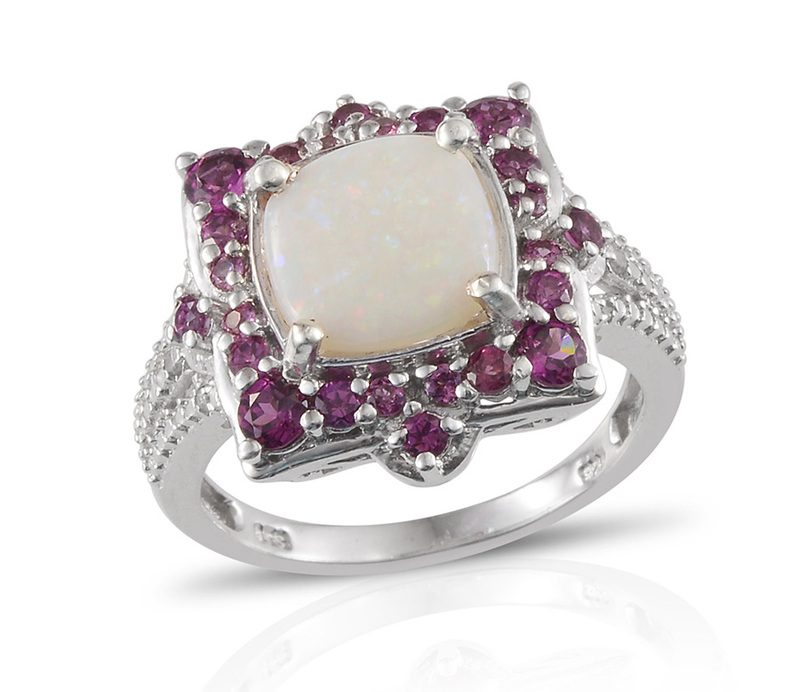 Opal is the modern October birthstone and gem for the 14th wedding anniversary.